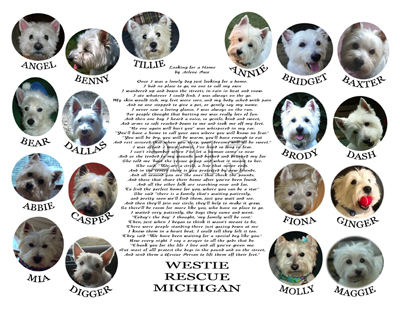 To order the calendar, go to www.cafepress.com/westierescue and choose the store with the calendar cover. PLEASE NOTE: Cafe Press gives you the option of choosing what month you want as the start month. We recommend you choose January 2013 as your first month.